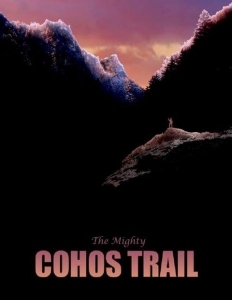 The Cohos Trail is 170-miles long (or more depending on various side spurs) and runs from Harts Location at Notchland in southern Crawford Notch to the Canadian border at Fourth Connecticut Lake high on Prospect Hill. 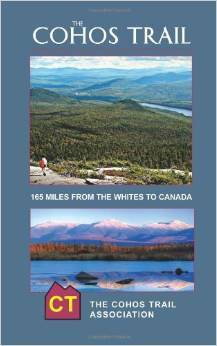 It encompasses nearly 40 peaks including the tallest in the Northeast, passes through three major river watersheds, reaches New Hampshire’s highest cliffs, saddles up to numerous waterfalls and major wildlife bogs and marshes, and drifts through a million acres of forest. Hikers have completed the trail in as little as nine days. Some take two weeks. Most do not complete the trail all at once in a thru-hike but walk it in sections. Supply drops (caches) are necessary to complete the trail in a single effort, as there are few resupply stores en route. Between Jefferson Township and Happy Corner in Pittsburg, there are no resupply depots at all on or near the trail, although you may get a snack and a drink at several state parks. Be sure you are physically fit, pack clothing to shed rain and avoid hypothermia, have a first aid kit with you, and carry plenty of water. Now get out there and have a great time with the moose.